I sit here in my blogging spot and HAD to type as the kids finish up their dinner. You see, we decided to have some take out Chinese Food. Lots going on today and no time to prepare anything. Of course, it was the Chinese dinner that changed when TechyDad cut into what should have been his steamed vegetable dumplings to find pork. Ooops! Guess who ended up with that? OINK! 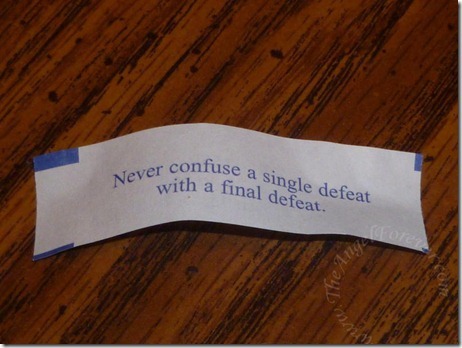 Then, it was fortune cookie time. I opened up my fortunes and just ignored what was inside. Then, TechyDad read my first one aloud followed by an even more interesting second one. I could not make this up! It seriously made me smile after some rough patches this weekend. I smiled and immediately asked TechyDad to get me my camera. 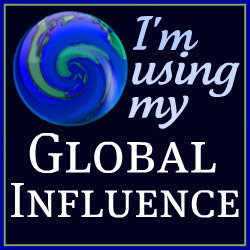 I wanted to document these and use them as a blog post. Yes, perhaps they mean nothing. Of course, they could just be the little spark that lights the spark in me and keeps me going on some big projects. Pretty deep for a third grader, but it certainly could give us a lot to talk about. As a child who has been through so much in this last year, it will be a nice reminder for him to keep his head up, never give up, and to believe in himself. 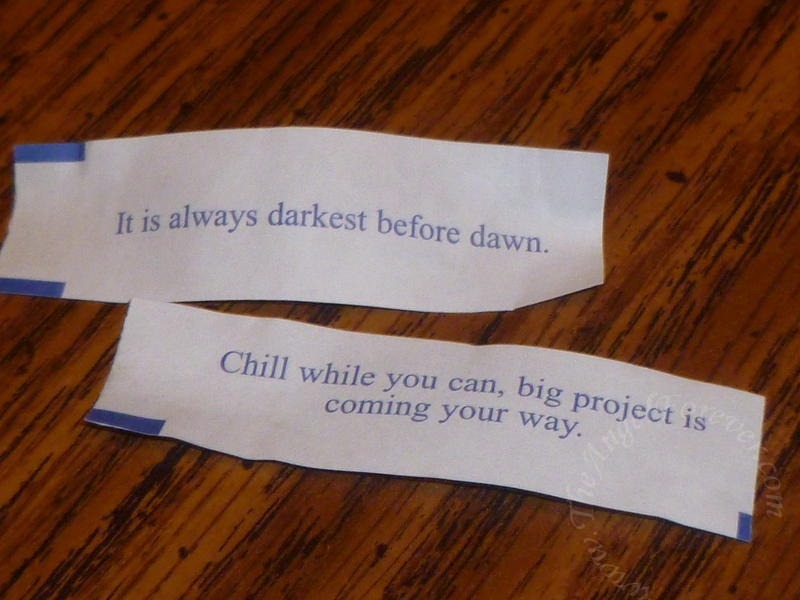 So what do you think about these fortune cookie notes of wisdom? Would love to hear any interesting ones that you have had over the years, or more recent.